These Shawarma Chickpeas are zero SmartPoints on the Weight Watchers Freestyle / Flex plan. 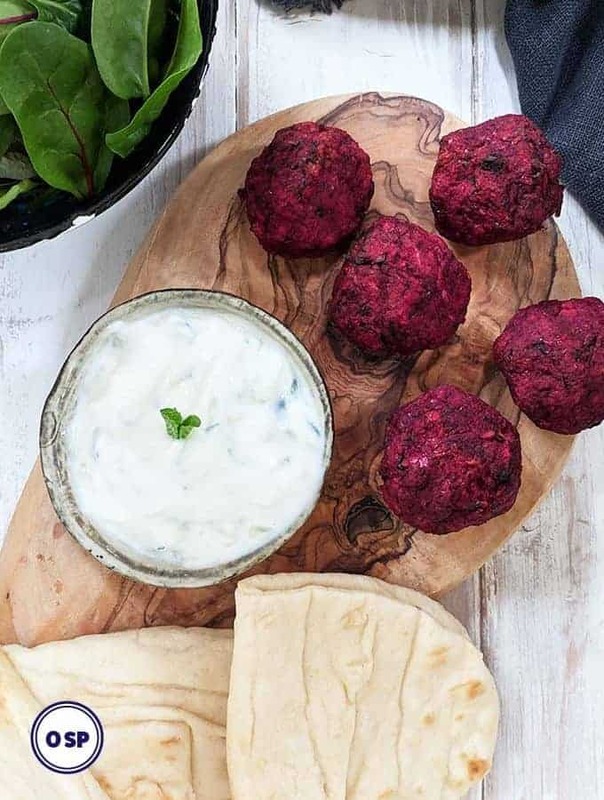 They are coated with a Shawarma spice blend, full of middle eastern flavours. They can be oven roasted or air fried. 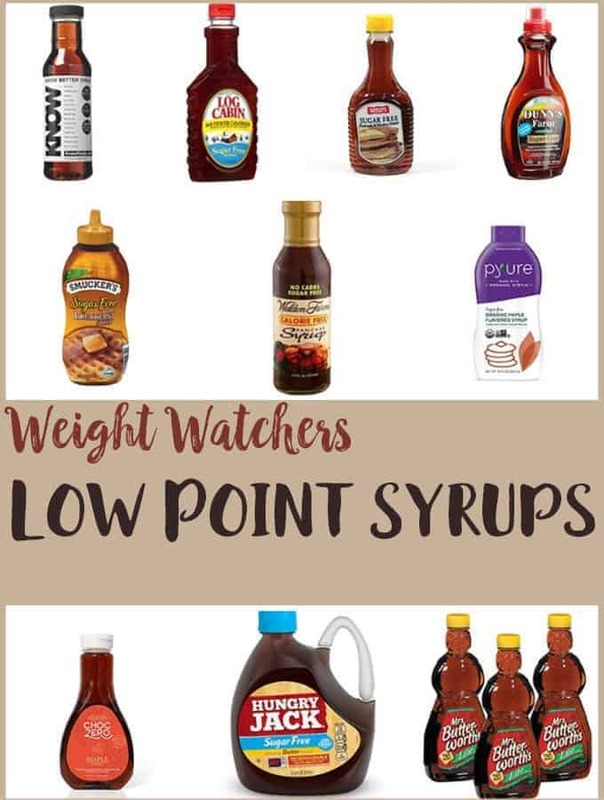 A delicious zero point Weight Watchers snack. I love middle eastern food and the spices that they use on fish and meat. If you do too, you will love these Shawarma Chickpeas. 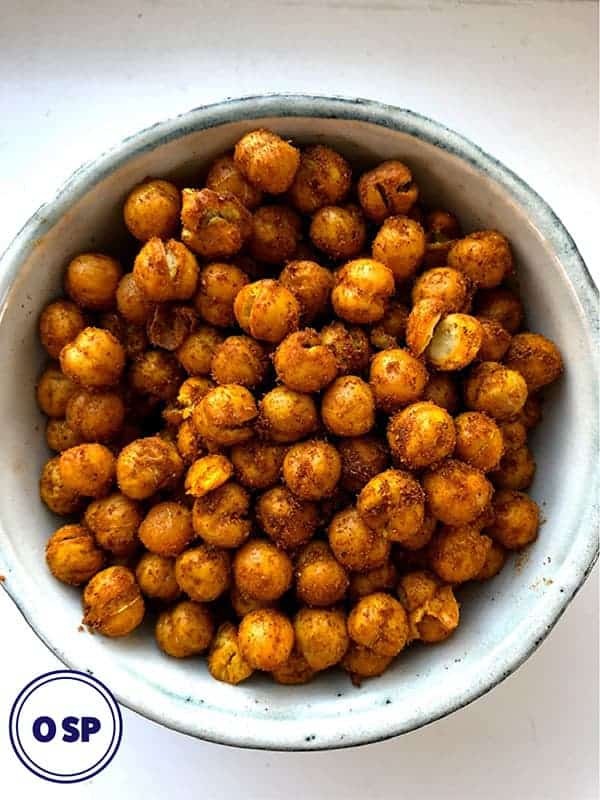 If you read my post on Spiced Chickpeas you will know that there has been some discussion as to whether roasted chickpeas are zero point snacks. One of my coaches had said that I should point chickpeas if using them as a snack food, even though they are now a ‘zero hero’ food. She had suggested that roasted chickpeas should be pointed, so I had started pointing roasted chickpeas. 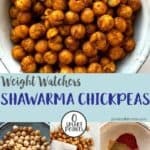 Since that post, however, I have been told by many people (including a couple of other Weight Watchers coaches) that chickpeas don’t need to be pointed, even if they are being eaten as a snack. So, these roasted Shawarma Chickpeas are being listed as zero SmartPoints! Yay! 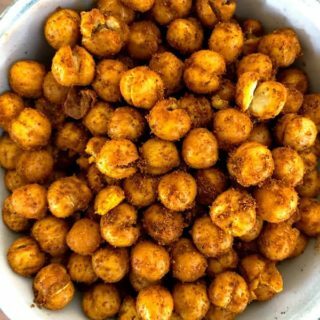 Whether you are roasting these chickpeas on a tray or in an airfryer, you prepare them the same way. Empty the chickpeas into a sieve or colander. Thoroughly wash the chickpeas under running water. 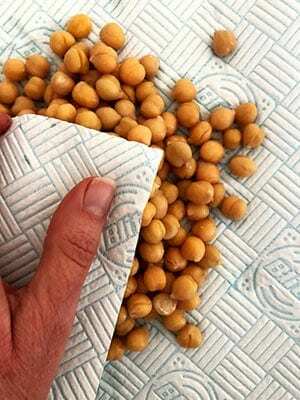 Tip the washed chickpeas onto paper towelling or a clean tea towel and pat dry. You are then ready to spray the chickpeas with spray oil and cover with your Sharwarma spice. 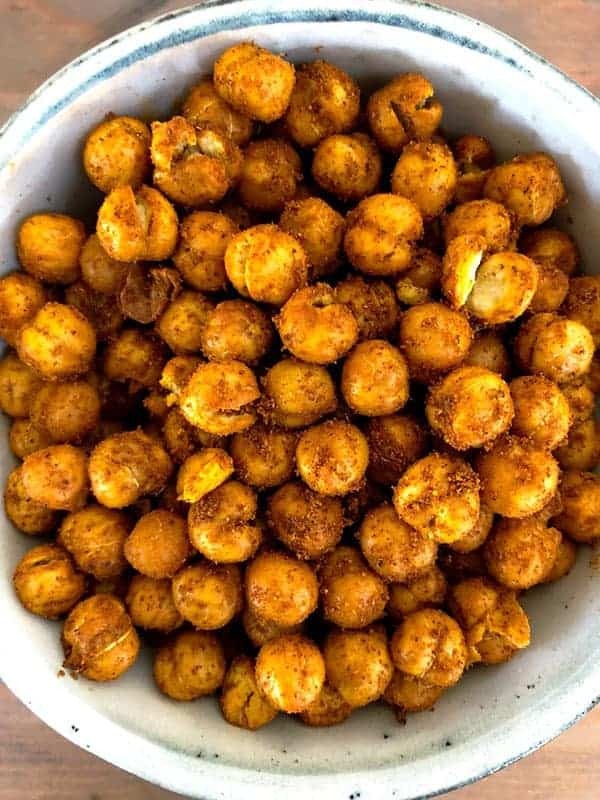 You can roast these chickpeas in a traditional oven. Place them on a baking sheet and bake for 45 – 50 minutes. 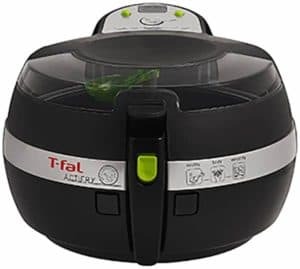 I tend to use my T-fal Actifry when I roast chickpeas. They don’t take as long as oven roasted chickpeas and in my opinion they crisp up better. If you would rather not use spray oil on your chickpeas you can drain (but not rinse) the chickpeas before dabbing dry and coating with the spice. These Spiced Chickpeas are one of my favourites! This Vegetable & Chickpea Broth is a filling low point lunch time option. This Chickpea Lentil Curry is so filling. These Shawarma Chickpea are Zero SmartPoints per serving. If using an oven to make these roasted chickpeas preheat the oven to 350oF / 180oC / Gas Mark 4. Open the can of chickpeas and empty into a sieve. 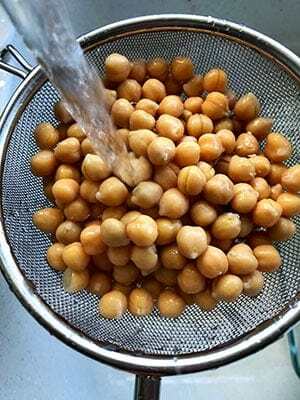 Rinse the chickpeas well under cold running water. Tip the chickpeas on to some paper towel and tap dry. 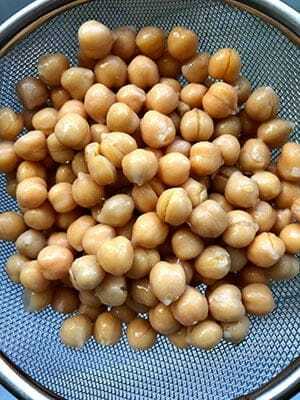 When the chickpeas are dry, place in a bowl and spray with 10 sprays of oil. 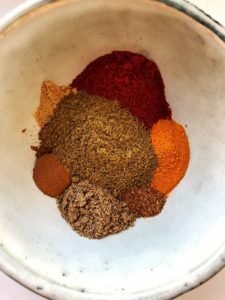 Place the spices in a small bowl and mix. Sprinkle over the chickpeas and stir till all the chickpeas are covered with the spice mix. 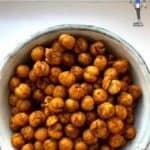 If you are using an airfyer for this recipe, tip the chickpeas into the airfryer and fry for 15 - 20 minutes and check to see how they are getting on. Continue to airfry for another 10 minutes or so if you like them really crunchy (like I do!). 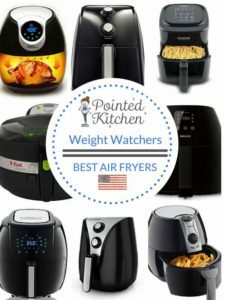 Times vary according to the make and model of airfryer. 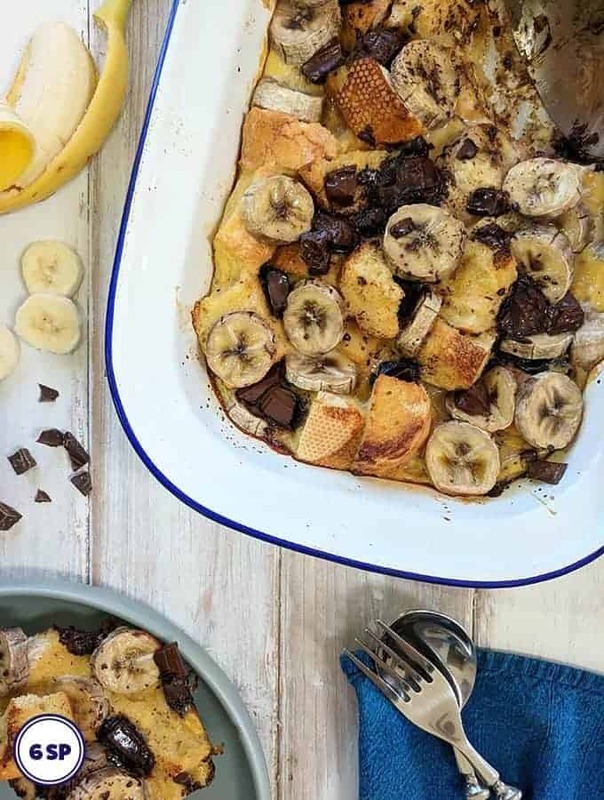 If you are using a traditional oven, tip the chickpeas on to a baking sheet and bake for 45 - 50 minutes. Half way through cooking remove from the oven and use a spatula to move the chickpeas around a bit, before returning them to the oven.